Use the slider to refine the listing of products. 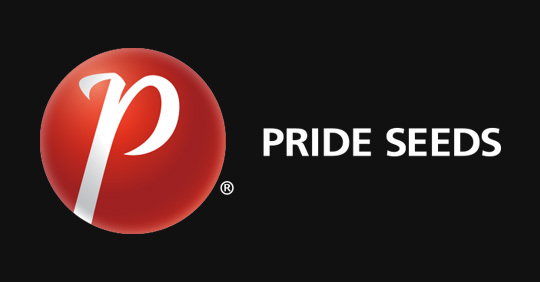 Locate a PRIDE Rep near you. STARGAZER Conventional 80% GALAXY alfalfa + 20% RICHMOND timothy This mixture includes multifoliate alfalfa and medium to dark green timothy exhibiting high performance in palatability, dry matter yield and forage quality. Forage will include increased fibre digestibility and energy resulting in high relative feed quality (RFQ) rating. Features fast recovery, superior cold tolerance and increased drying rate. Richmond is an early maturing grass known for its high yield and its excellent regrowth in a multi-cut alfalfa system, ensuring uniform grass content in each cut. Great choice for haylage for maximum yield with early first cut. EQUINOX Conventional 60% GALAXY alfalfa + 40% RICHMOND timothy A mixture of less alfalfa and a higher content of timothy for increased fibre content in the ration. Forage features high performance in palatability, dry matter yield and forage quality. Increased fibre digestibility and energy resulting in high relative feed quality (RFQ) rating. Accelerated swath drying rate, fast recovery and superior cold tolerance. Richmond is an early maturing grass known for its high yield and its excellent regrowth in a multi-cut alfalfa system ensuring uniform grass content in each cut. Great choice for haylage for maximum yield with early first cut. PINNACLE Conventional 80% PRIZE alfalfa + 20% RICHMOND timothy Mixture of multifoliate alfalfa and timothy exhibiting excellent persistence and drought tolerance. Excellent forage quality and persistence to maintain profitable grazing rotation. Alfalfa features fine stems and leafy, uniform canopy. PERFORMER Conventional 60% PRIZE alfalfa + 40% RICHMOND timothy Mixture of multifoliate alfalfa and high content of Richmond timothy. PRIZE alfalfa with high resistance to all major diseases, delivers consistent, stable yields and a persistence package to maintain a profitable rotation. PREMIER Conventional 45% PRIZE alfalfa + 55% RICHMOND timothy A high timothy content matched to a strong performing alfalfa variety. High grain content promotes fast drying. PREMIUM LOWLAND Conventional 35% TIMOTHY + 30% ALFALFA (CREEPING ROOTED TYPE) + 10% TREFOIL + 10% ORCHARD GRASS + 10% DC RED CLOVER + 5% WHITE CLOVER Ideally suited to intensive grazing. This mixture contains a special creeping type alfalfa which has outstanding persistence for long-term pasture.